Sudanese President Omar Bashir has given an exclusive interview to Sputnik, speaking on the possible military cooperation with Russia, as well as on the situation in the country's hotspot, the Darfur region. He has also accused the US government of "devastating" the Arab world. "We have information that the US aspiration is to split Sudan into five countries, if we do not find protection," Sudanese President Omar Bashir told Sputnik, adding that Sudan faces "major pressure and conspiracy from the United States." Washington has "devastated the Arab world," Bashir pointed out, citing the situation in Afghanistan, Iraq, Syria, and Yemen as examples. During this week's meeting with Russian President Vladimir Putin, Bashir stated that his country needed protection from "US aggression," emphasizing that the Sudanese president said the secession of South Sudan was related to US policies. South Sudan gained its independence from the Republic of Sudan in 2011 after 98.8 percent of voters supported the move at a referendum. Commenting on his visit to Russia, the Sudanese leader stated that he had "discussed" the establishment of a military base on the Red Sea coast with Russian President Vladimir Putin and Defense Minister Sergei Shoigu. Commenting on defense cooperation with Russia, Omar Bashir said Sudan was interested in purchasing Russia's Su-30 and Su-35 fighter jets as well as S-300 air defense systems, adding that the African country "does not have any intentions to wage aggression abroad, we want to protect our country." According to the president, Sudan still uses old air defense systems manufactured in the Soviet Union, adding that the country was also interested in the acquisition of missile boats and mine sweepers. "We want to develop our military cooperation from attaches to advisers. We have a program for full armed forces' upgrade… All our equipment is Russian, therefore, we need advisers in this area," the Sudanese leader explained. 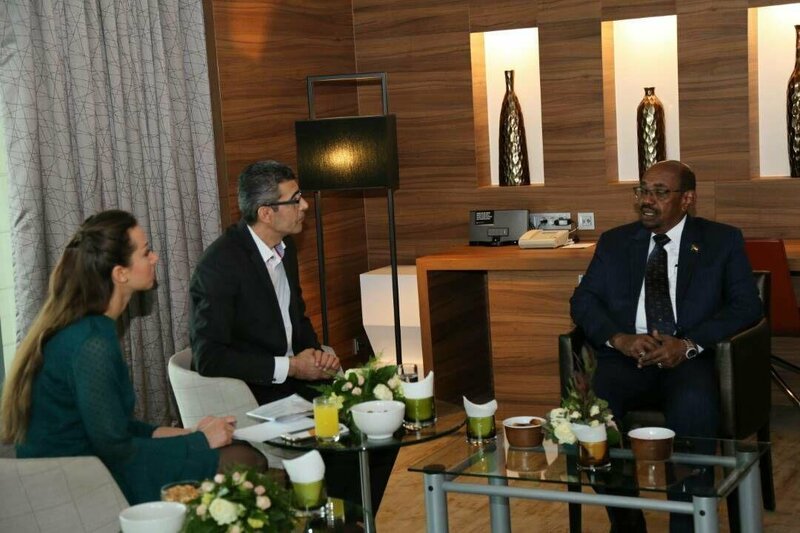 The interview comes few days after Omar Bashir arrived in Russia for the first time ever in order to meet his Russian counterpart Vladimir Putin to discuss defense and economic cooperation between the two countries. Omar Bashir has also commented on the situation in the rebellious Sudanese region of Darfur, saying that it has stabilized, with militants laying down arms within the framework of a state program. "We are able to say now that peace in Darfur has been reached. There is no uprising in Darfur. We are carrying out a massive campaign on expropriating the weapons in the region, and the first stage has been very successful as the militants laid down their weapons voluntarily," Bashir said. The president added that the region was secure now, and "the return of many displaced people proves that." The conflict in Darfur began in the 1980s and escalated dramatically in 2003 when rebel groups launched a campaign to topple the Arab government. In 2007, the UN Security Council and the African Union sent a joint peacekeeping mission to the region, extending the mission's mandate to June 2018 but cutting personnel.